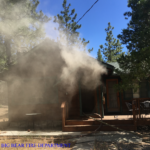 Big Bear, CA, June 5th, 2016 – A small vegetation fire occurred early in the morning, Saturday, June 4, 2016 at Greenway Drive and Pioneer Lane in Big Bear City. The fire occurred approximately 300 yards off of Pioneer Lane and is estimated to have burned just over an eighth of an acre. 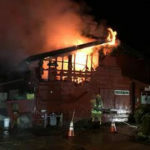 Big Bear Fire Department responded to the call of the fire shortly after 6:30 a.m. and quickly brought the fire under control by 7:00 a.m.
Big Bear Fire Department’s Battalion Chief Harold, two brush engines, and one engine responded to the call. Big Bear Fire Department received assistance from one Cal Fire engine, as well as one engine from the U.S. Forest Service. The U.S. Forest service, headed by Battalion Chief Koontz also responded with one hand crew and a law enforcement unit, at which time command was transferred to the U.S. Forest Service. There were no major road closures and no structures damaged. No evacuations were necessary. The cause of the fire is under investigation by the U.S. forest service at this time. 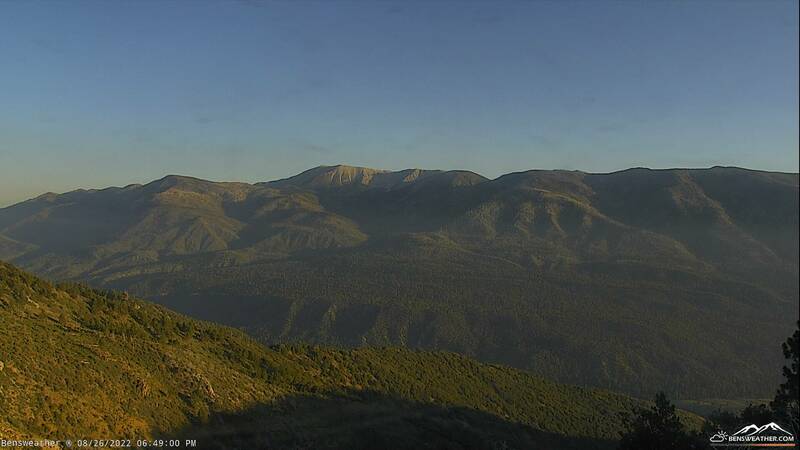 Big Bear Fire Department reminds residents and visitors that as the temperature rises, fuel moisture goes down, increasing the threat of wildfire. Citizens should be alert, report suspicious activity. Be prepared for any type of incident; preparedness is key. Please call (909) 866-7566, or visit bigbearfire.org for further information on how to be prepared for any disaster, and to obtain a Ready, Set, Go guide.